As I said in my podcast (which you can listen to here) it was more fun to fill this out with some big upsets. If I had to pick I would say Kentucky is going to win it all, but I think it would be more fun to see them lose. Anything can happen in a one-and-done tournament and don’t ever forget that! 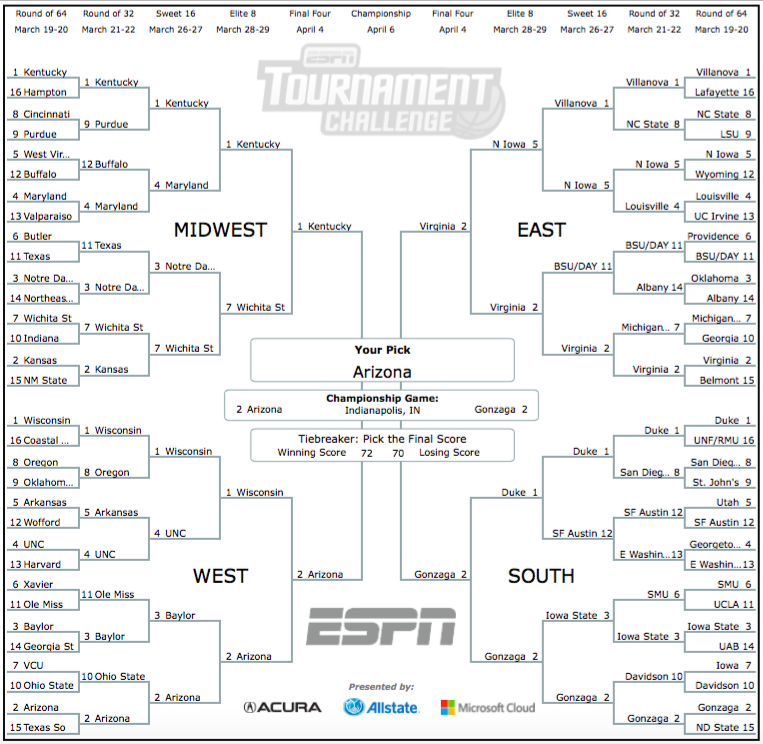 In case you were wondering this is a bracket I made just for this site. Any of you playing against me in various bracket pools, don’t worry. I plan on making each one of my brackets unique and different. This entry was posted in Home, March Madness 2015, NCAA and tagged bracketology, Joey Zocco, March Madness, ZML, Zoc-etology, Zocco's Modern Life. Bookmark the permalink.